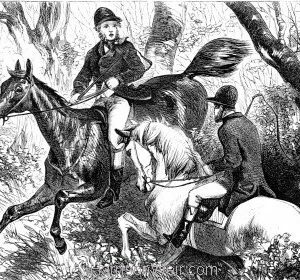 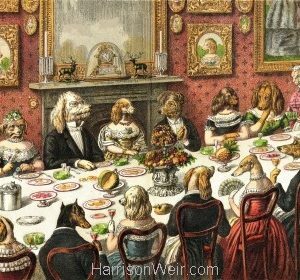 “Horses and Hounds” is the name we have given to this image, simply because it is the frontispiece for a book by the same name, published by George Routledge & Co, in 1858. 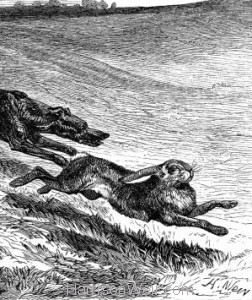 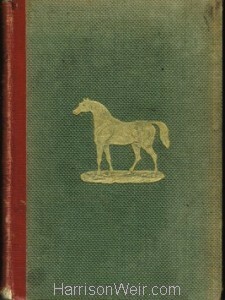 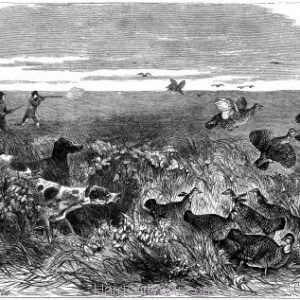 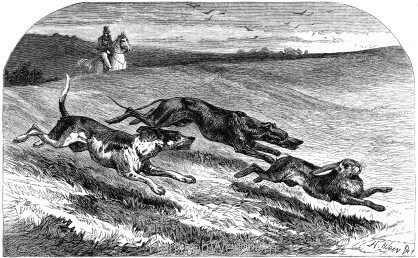 The actual caption to the image is: ” A severe course ensued up and down the hills, – the fox-hound coming in for his turn occasionally -P.153″ From the title page, we also see that the book contains an additional feature on the taming of horses, by the famous American horse tamer, J.S.Rarey. 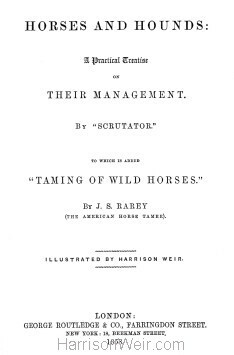 This man literally caused a sensation in Britain by his innate ability to tame horses of even the wildest temperaments, and to do so publicly. 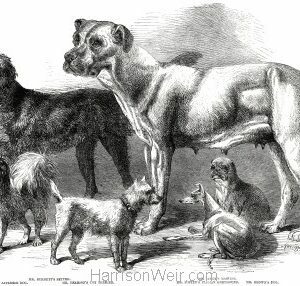 Harrison Weir attended a couple of these sessions and we have illustrations by him for the site showing J.S.Rarey at work. 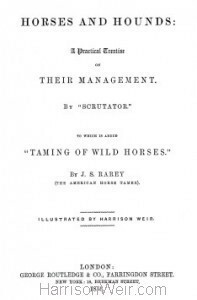 All this happened around the same time as this book was being published, so we may be sure that Rarey and Weir were well acquainted and I am sure that Weir, like others would have had many questions for him. This book contains only four images and we are pleased to be able to preserve them and make this one available in both an A4 and an A3 sizing option. 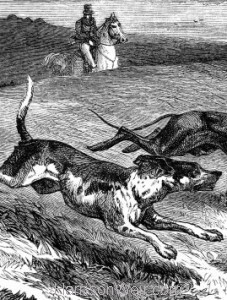 Detail: 1858 – Horses and Hounds Detail: Title Page – Horses and Hounds, by Scrutator.